Allow the tube to fill until urine/fluid flow ceases. Note: Some tubes are not intended to fill completely. 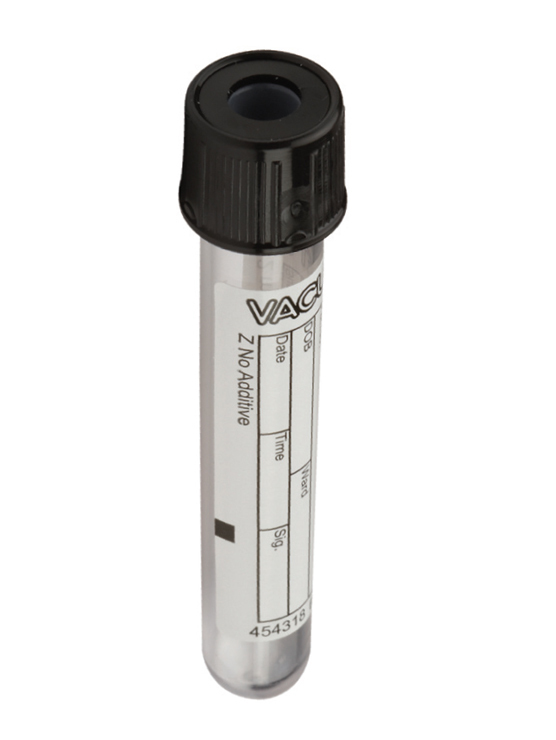 This is a partial draw tube (2 mL) and will only fill to the black mark on the tube. Use the bar code label with the patient’s name and ID to identify the specimen. If multiple specimens are collected be sure to use the correct label for each. If specimens are not labeled correctly, PD adequacy and PET calculations will not be accurate.